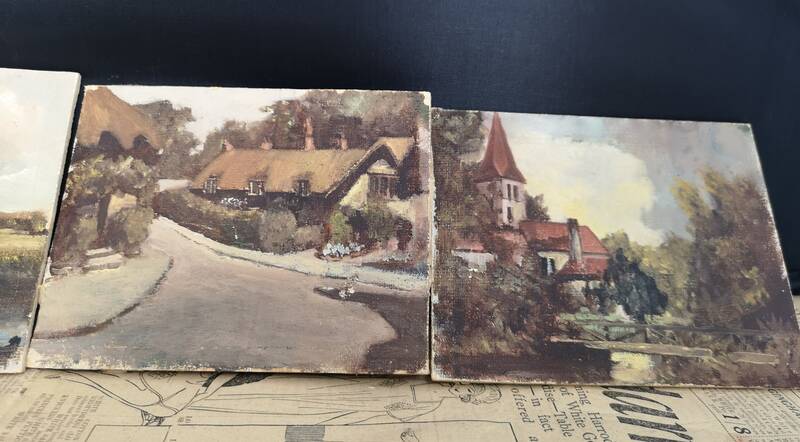 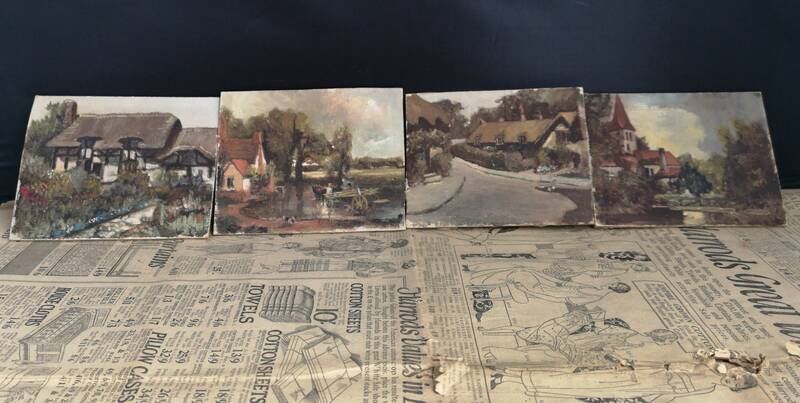 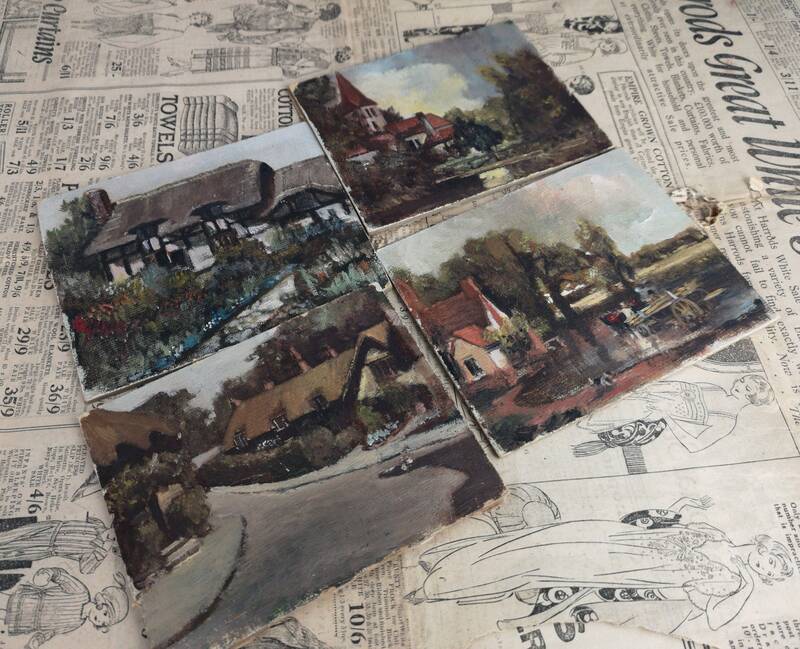 A charming set of 4 oil on board Village scene paintings by Charles A Bettney. 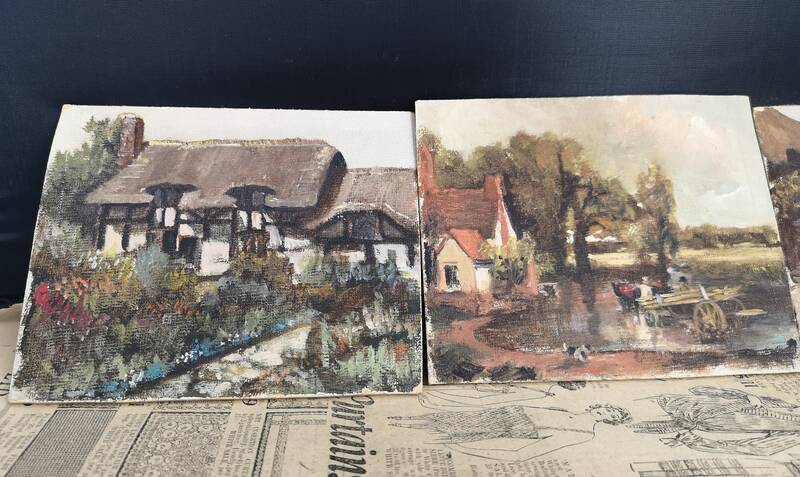 Each painting has a different rural village scene. 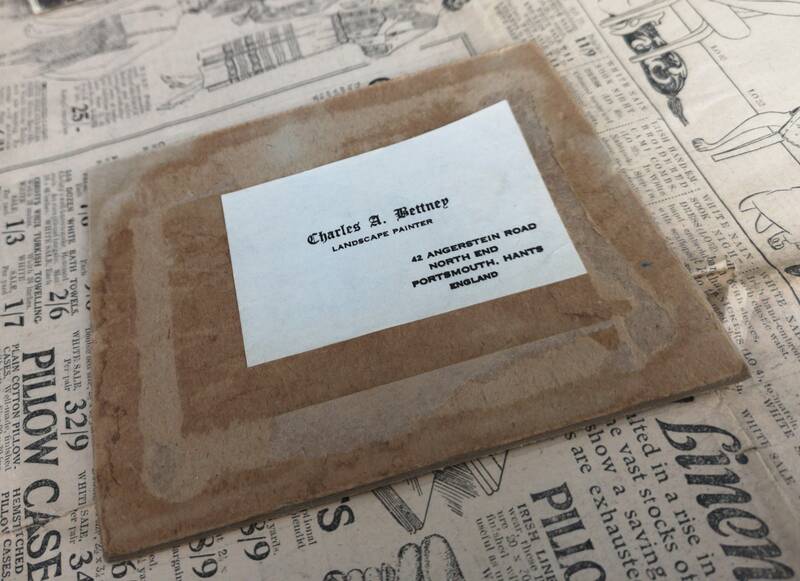 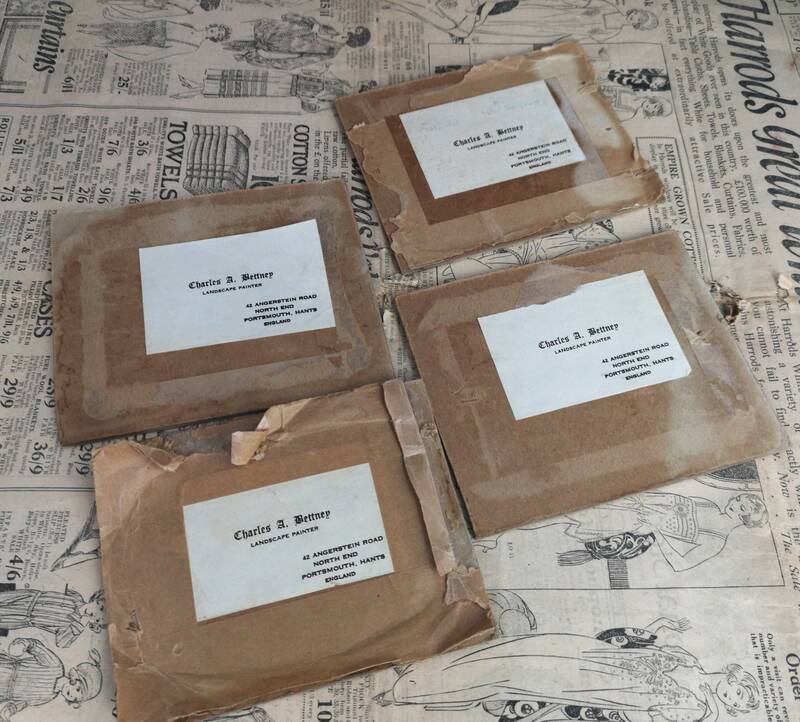 They all have the original paper labels affixed to the reverse. 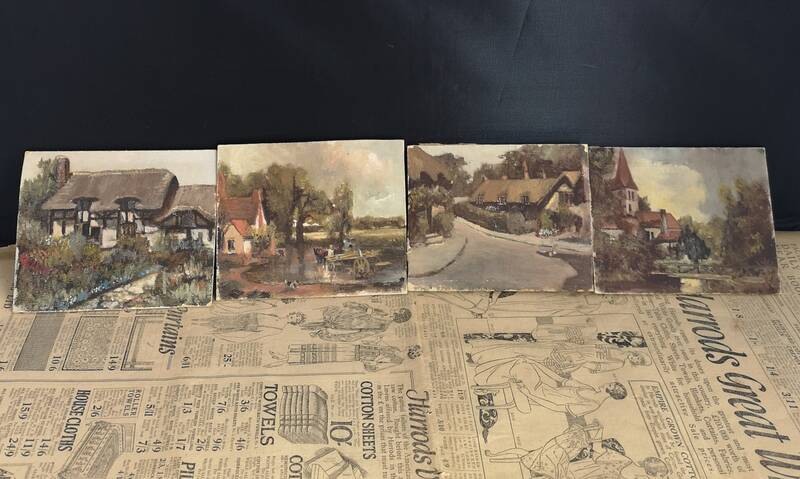 They are all unframed and are cut slightly off shape and symmetry.